ChargeIt by Jay Round White Aristocrat Antique Melamine Charger Plate 14"
Home > Products > ChargeIt by Jay Round White Aristocrat Antique Melamine Charger Plate 14"
This item will be back in stock June 28th. Order now to reserve. Add classic elegance to your table setup with the ChargeIt by Jay Round White Aristocrat Antique Melamine Charger Plate 14", The intricate embossed swirled pattern around the rim of this charger provides a stunning accent to complement your dinner plates. 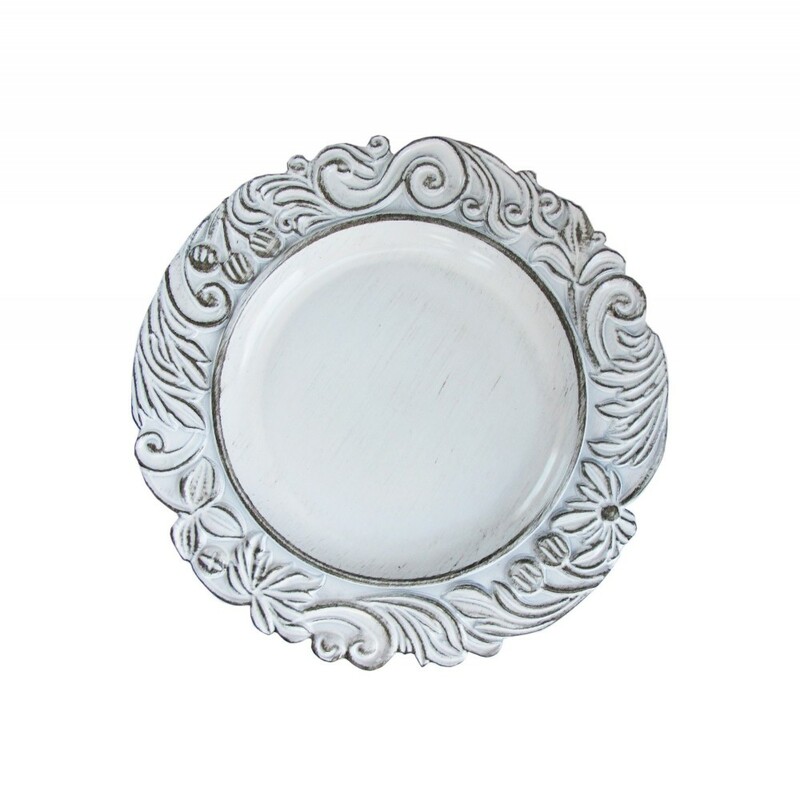 Perfect for wedding receptions and other high-class events, this premium quality piece features a pristine white finish that fits seamlessly with any decor or dinnerware. Made from lightweight, shatterproof melamine, this charger plate combines a delicate look with unbeatable durability and product life. Clean up is a breeze with this charger plate. Simply hand wash, dry, and store.